You are probably wondering how any industry is going to do well with the current economic hardship that we, the United Kingdom, and many other countries all other the world are facing at the moment.However, there is one industry that is booming in this time of economic crisis, and that is the gold industry, especially many metal commodity specialists that are providing their customers with tax free gold, such as Physical Gold. What is tax free gold? The clue is in the name, you do not pay tax when investing in this type of gold. There are also a large amount of benefits that come attached with investing in tax free gold, for example, these gold coins are low gold price with a high buyback price. The small coins also allow for easy, cheap and secure storage. This is a main concern of many gold investors, as there are storage options available but they do some at a price. In this climate, no one knows what is coming around the corner. This is where gold comes in as a sensible option for many who are looking to keep their money safe and secure. This is why gold is often referred to as an insurance policy in terms of money as well as protection for your wealth. This uncertainty refers to governmental uncertainty, financial uncertainty and foreign issues / war uncertainty. When your money is invested in tax free gold, it is essentially locked and therefore no one a part from you can touch it. 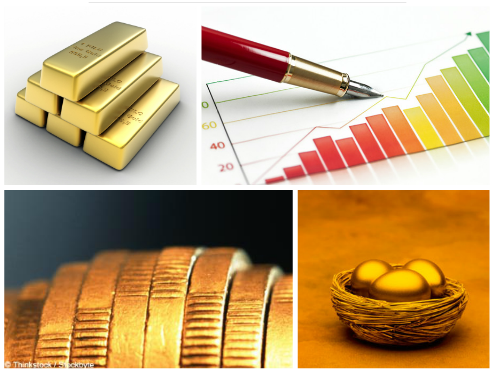 Gold is seen as a future proof investment. This is because the demand for gold is always going to be there. Gold is so widely used within many industries at this current time, including technology, space exploration, medicine and dentistry. With growing technological and medical advances, the need and demand for gold will only go up and will not diminish. This is why gold is doing so well in terms of an investment choice, as the demand will always be there and so it will be hard to lose any more, providing you do everything correctly of course. Pension gold is doing great at the moment. This is mainly due to the fact that prices are so low for pension gold at the moment that many people are choosing to put their money into gold to secure it for the future. Coupled with the fact that gold is now considered a SIPP (Self Invested Pension Plan), many are now turning to this means of making sure they can enjoy retirement with no worry about financial hardship. Altogether, the gold industry is doing so well at the moment due to a number of factors which make gold a desirable investment choice for many. The fact that tax free gold has a high buyback rate, it is future proof and it is great for pension schemes makes it a favourite commodity to invest in. The future proof aspect is an especially good point. It's often tricky to invest in fads that come and go, but if something's constant, it's tricky NOT to do so. Nice points.